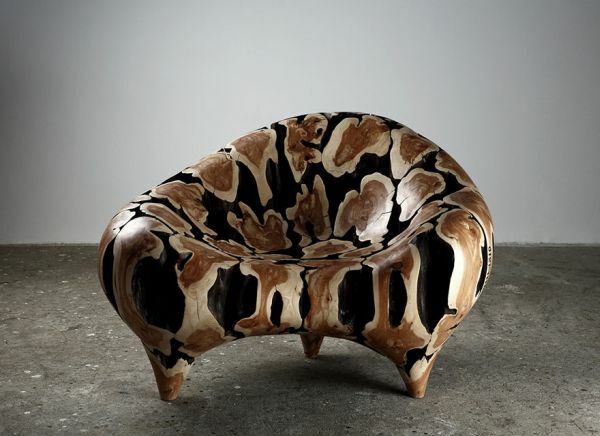 To preserve nature, various designers and artists are opting eco-friendly methods to create aesthetic as well as functional designs. 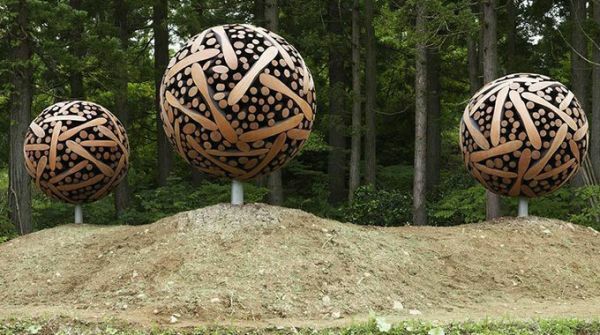 Living up to the same concept, 50-years-old South Korean artist Jae-Hyo Lee uses organic materials especially wood to produce contemporary artwork. 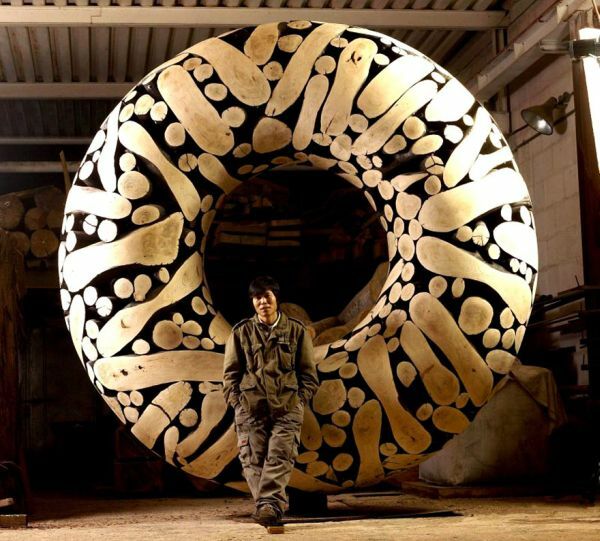 Recently, I came across some of his modern wood illustrations, which are crafted out of discarded tree trunks and branches. 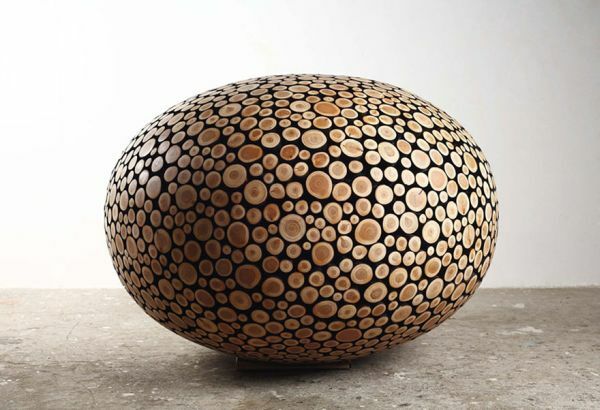 Lee turns reclaimed wooden pieces into natural geometric shapes such as globe, cube and other furniture-like models. 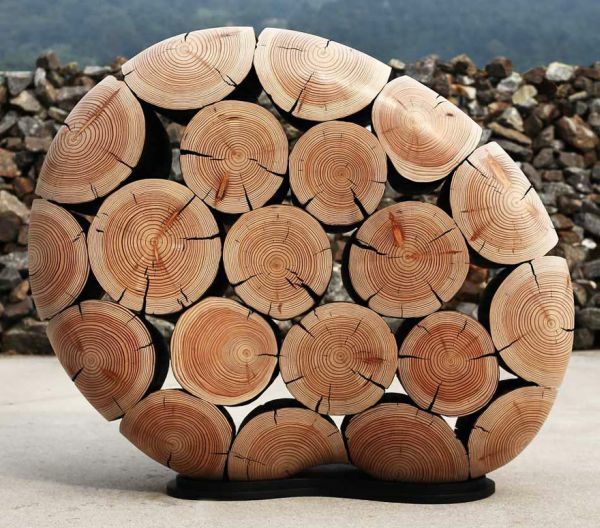 I want to express the wood’s natural characteristics without adding my intentions. I like to make the most out of the material’s inherent feeling. Little things add up to transmit a stronger power, greater energy. That is why I have quite a lot of large pieces. 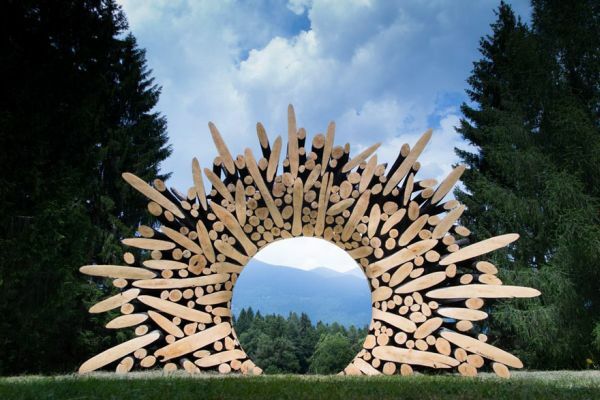 These wooden pieces are brilliantly aligned in shape of eye-catching and practical decorative objects. 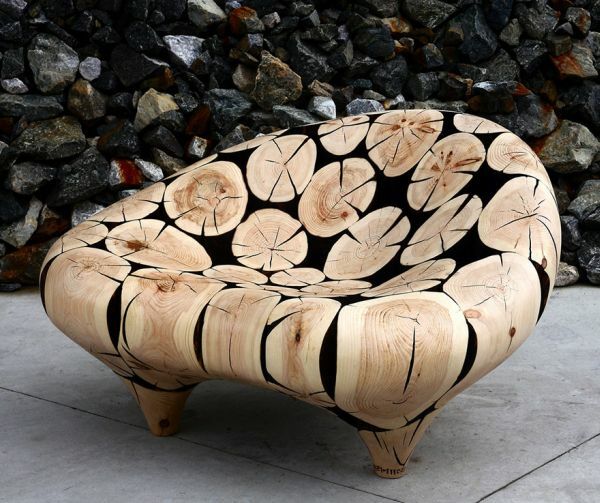 Each piece is engulfed in flames to get charred black detailing onto the wooden pieces. 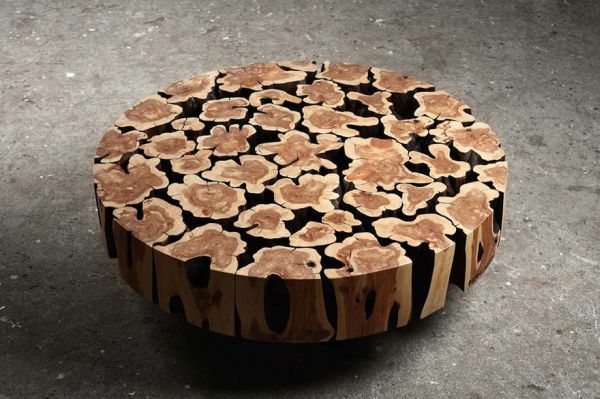 After that, wood is polished to enhance circular linings within chopped tree trunks. 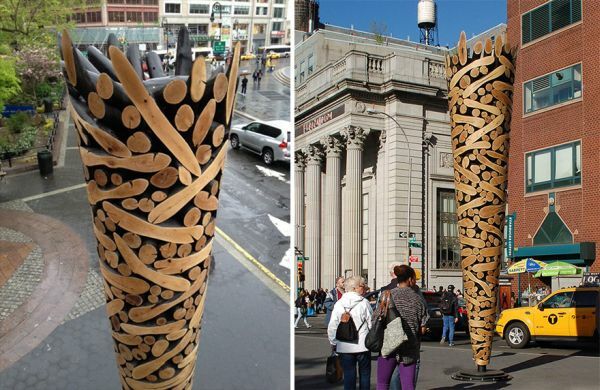 Due to this, these sculpture form bright, contrasting layout to highlight whimsical nature of the organic material. 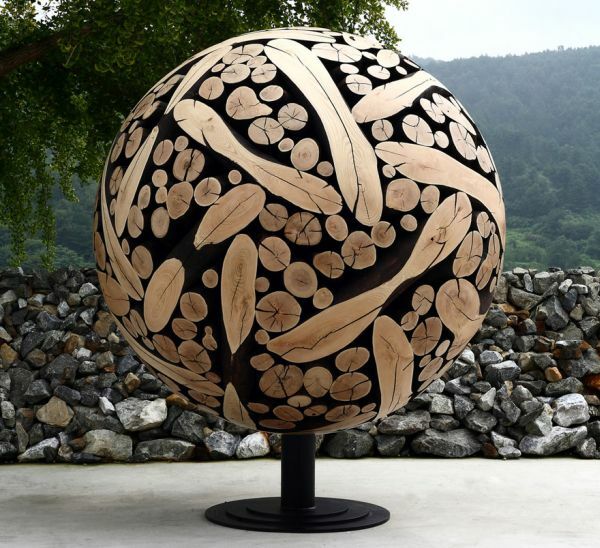 Lee has cleverly sustained natural elements within these spectacular wood sculptures, without using additional colors or tools. 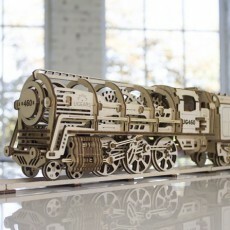 This is because he wanted to retain natural beauty of wood in his craftsmanship with no artificial detailing or touch up. These beautifully designed contemporary wood sculptures are idyllic to add subtle yet attractive touch to any indoor or outdoor setting. Instead of displaying his artwork in galleries, the artist prefers to showcase his art in hotels and other busy places, so that the marvelous artwork remains surrounded by people every day, becoming routine part of their life.